Luke Sonnet is a PhD candidate in Political Science at UCLA and a graduate student affiliate of the California Center for Population Research at UCLA. For the summer of 2018 he was a Lahore University of Management Sciences-World Bank [email protected] Pre-Doctoral Fellow. 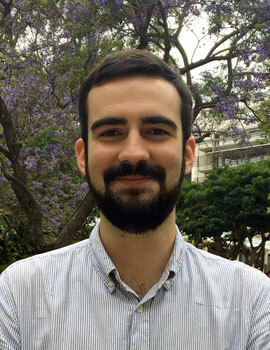 Luke works on electoral accountability, the relationship between governance and development, and on providing data and software to the social science community. He is involved as a co-investigator on several evaluations of randomized programs including a program that provides robocalling and flash polling technology to political candidates in Pakistan--joint with Miriam Golden (UCLA) and Saad Gulzar (Stanford). He also is a co-investigator with Saad Gulzar (Stanford) and Muhammad Yasir Khan (UC Berkeley) on an RCT that leverages social networks to study the effectiveness and spillovers of female political mobilization efforts. Luke's research has been funded by the International Growth Centre, the Abdul Latif Jameel Poverty Action Lab, and the American Institute for Pakistan Studies. Luke has also worked on several software and data projects, including estimatr, an R package containing estimators commonly used by social scientists, and the voteview.com project that now estimates and hosts the DW-NOMINATE ideal scores of US legislators.